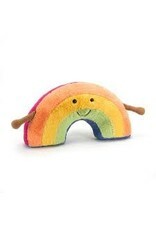 Jellycat Amuseable Rainbow - Grow Children's Boutique Ltd.
Amuseable Rainbow loves everybody, and welcomes one and all for big, colourful hugs! 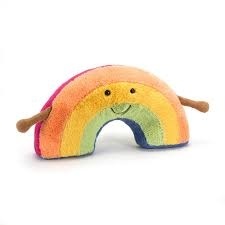 With pastel stripes in peach, yellow and turquoise, cordy arms and a goofy smile, this squidgy rainbow brightens up the day. A poppet full of pride!